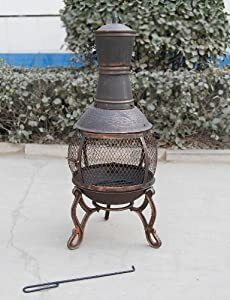 We are reluctantly presenting the extremeley popular Bella Chimenea - Patiogarden Heater Outdoor Chiminea at a great price. 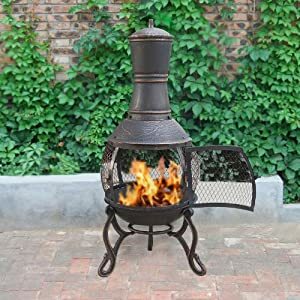 Don't miss out - purchase the Bella Chimenea - Patiogarden Heater Outdoor Chiminea here now! Height 870mm - Diameter 365mm Please provide a contact telephone number for all orders. Any questions or enquiries, please call us on STOVE CENTRAL 01604 754815. Please ask us for quotes for delivery to Scotland, Isle of Wight, Isle of Man, Northern Ireland and ROI, and France. 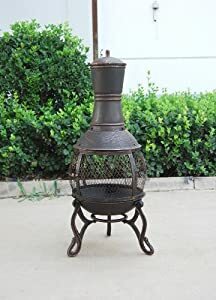 The Bella is an attractively styled chimenea built to provide ample warmth as an outdoor or garden heater. It has a mesh spark screen to contain the fire and a robust structure with elegant legs. Quick to heat, the Bella chimenea has a susbtantial output, perfect for summer evenings on the patio or barbecue parties with friends. 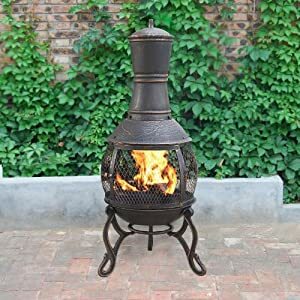 This chiminea comes flat packed for easy delivery, and the detailled instructions make it so simple to assemble, ready to provide warmth for garden parties and outdoor dining.